Today I have a little review of a couple of products we have been testing out whilst on honeymoon. We were kindly sent two products from TEN, the Baby Natural Shampoo (RRP £18.90) & the Hydration Body Cream (RRP £31.80). I will start with the latter, the Hydration Body Cream. This cream is marketed for during and after pregnancy, and is a definite luxury for a new/mum-to-be. It's aim is to restore the skins natural oils and elasticity, by a formula that includes essential vitamins (B5, E and F) and pure wheat germ oil. The product smells gorgeous and is lovely to apply, it soaks quickly into the skin and is non-greasy. It has worked wonders on my very dry legs! As I said before, this is a luxury product as it is priced fairly high, but is a beautiful hydrating cream and would be tempted to buy again if I wanted to splash out and treat myself. 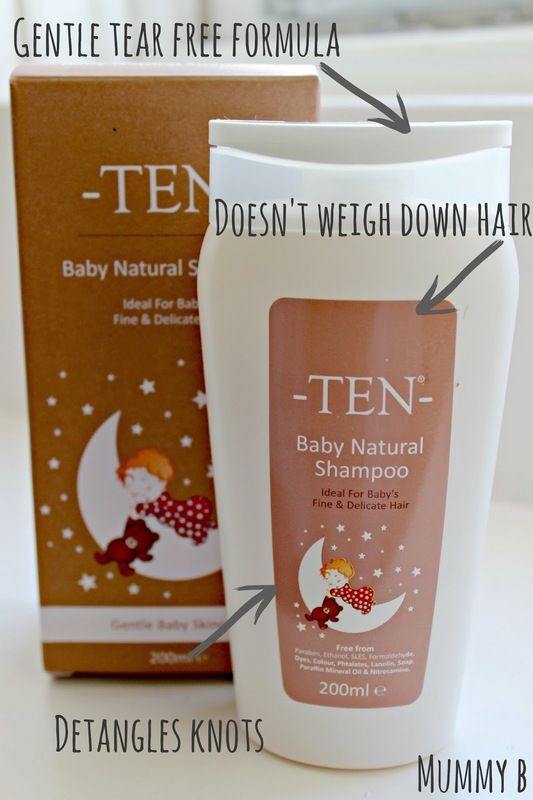 Next is the TEN Baby Natural Shampoo, a really lovely formula for your little ones. Darcie has been blessed with beautiful hair, everyone comments on her curly locks. But this holiday with the sea, wind and ice-cream occasionally getting in it, its needed a little bit of extra care. This product has helped get rid of any nasty knots, whilst keeping it nice and shiny (and perfectly curled!). One thing I really love about this product is that its a light formula. I detest it when shampoo weighs down on Darcie's hair, it can make it look dirty and greasy but this is lovely and light! Again, it is pricey but a little goes a long way so I think its going to last a long time (unlike other products I have used). I really want to try some more products from TEN like the Bath Milk and Baby Protective Diaper Cream, but may be that will be a treat if baby number two comes along soon! Have you tried any of the TEN products? What are your thoughts?